Sponsor a section – Pit Love! Look at how happy the PR Front Ensemble is, and imagine how happy they’d be if they were sporting this scholarship shirt! 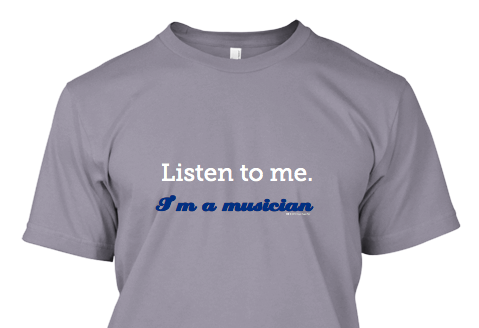 They are definitely some of the finest musicians I’ve been fortunate enough to work with – consider sponsoring your favorite section with a shirt supporting music education for the young. Snares, tenors, basses…how about the Hornline?! Show some love and place a group order for your favorite section! Please consider taking a moment to support and share with your friends! We need 70 more shirt orders by 7pm TONIGHT, in order for the shirts to get printed so we can help out a deserving member this summer. Thanks for considering!